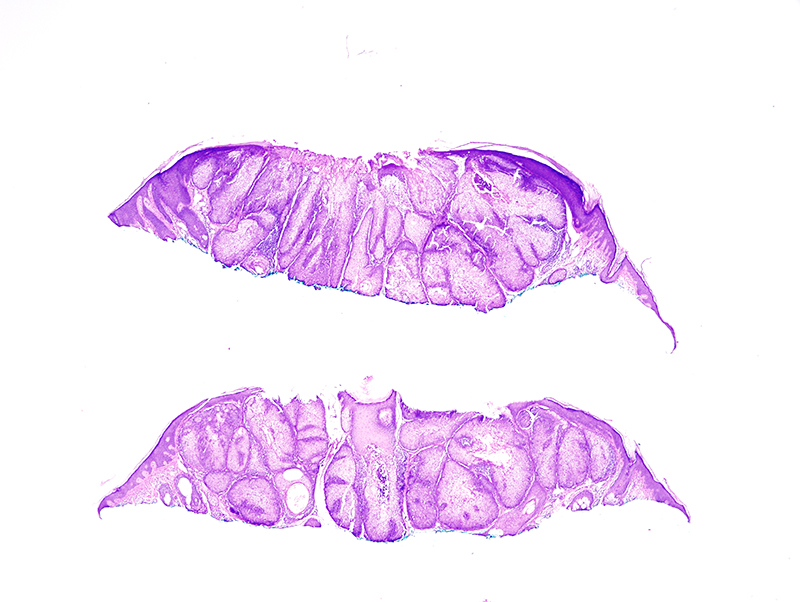 Sebaceous adenoma typically arises in the head and neck region as a yellow-brown dermal lesion in continuity with the overlying epidermis. 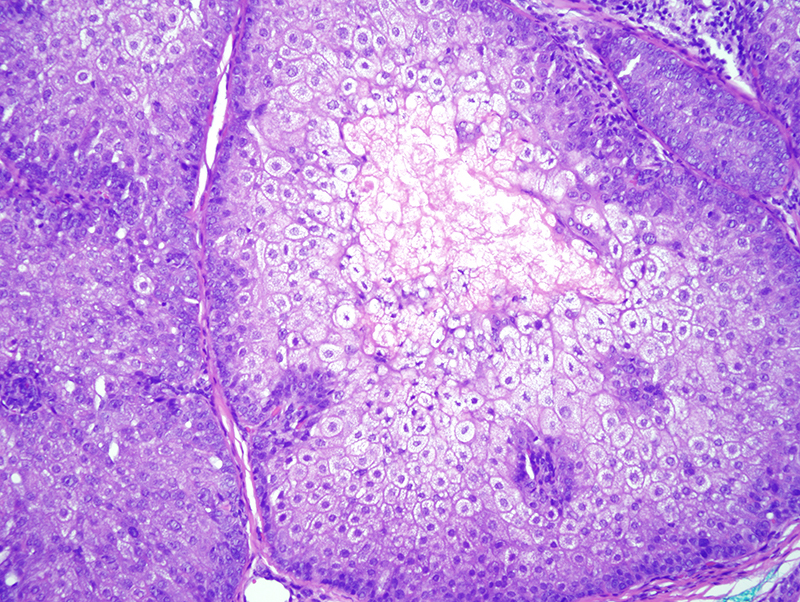 The tumor is composed predominantly of mature appearing sebocytes surrounded by a rim of germinative epithelium. 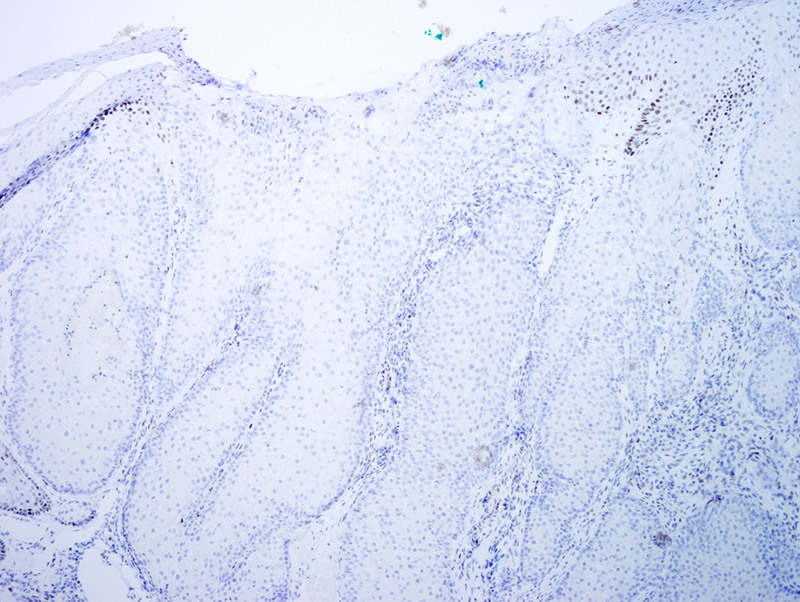 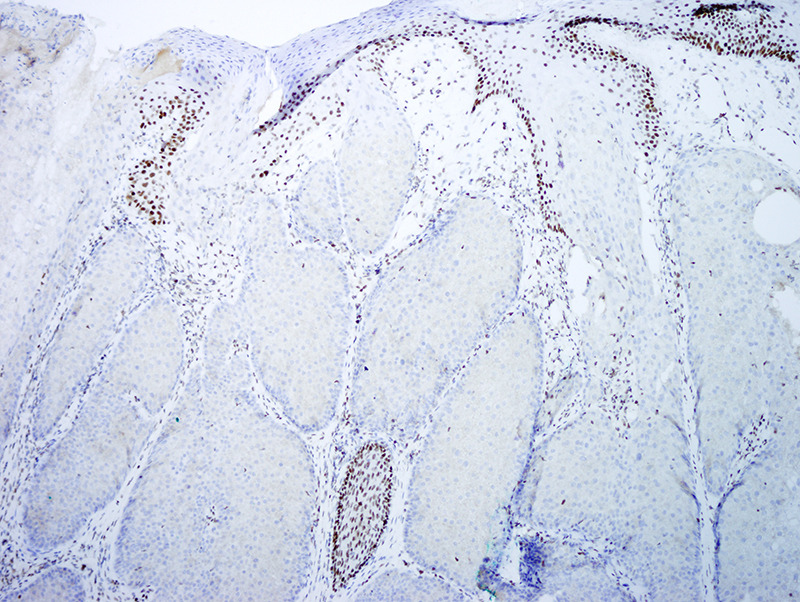 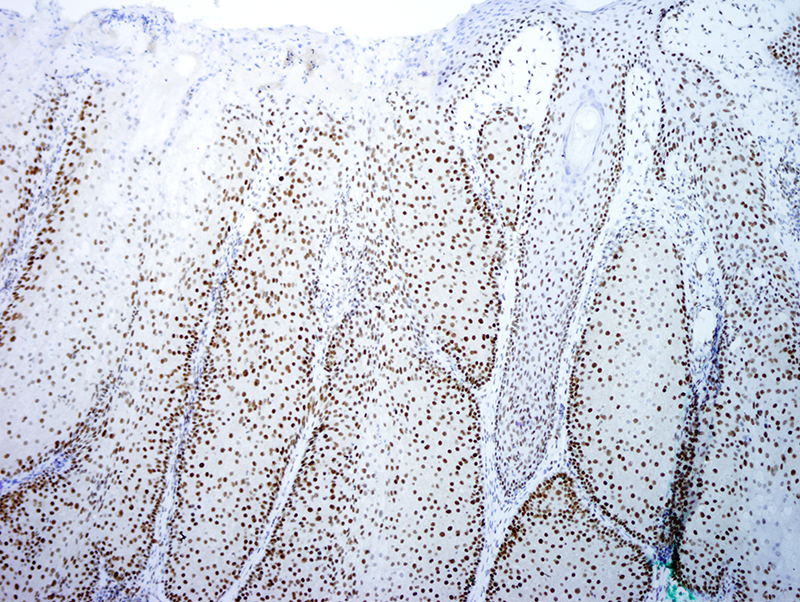 In the setting of Muir-Torre syndrome, sebaceous adenomas also occur over the trunk and most demonstrate loss of mismatch repair proteins on immunohistochemistry as well as microsatellite instability (MSI). 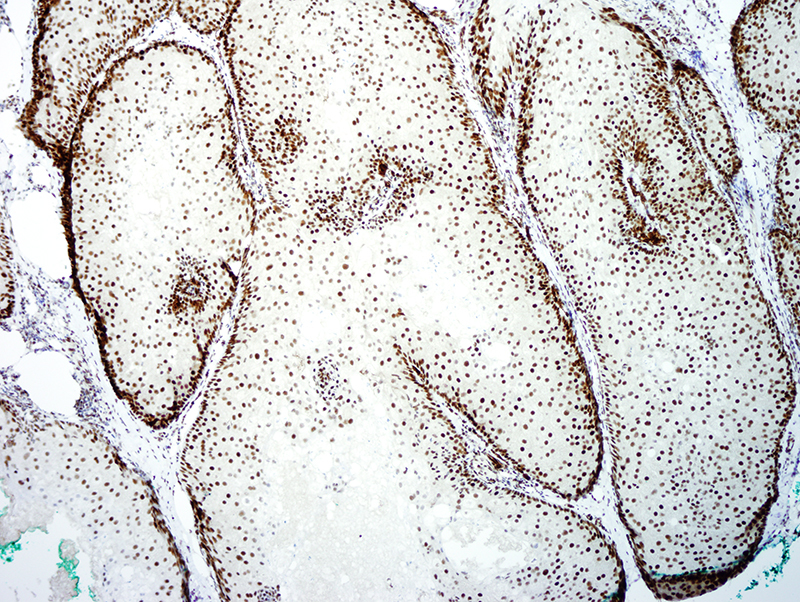 In these situations, germline mutation analysis for MLH1, PMS2, MSH6 and MSH2 can be offered.